The worry: Google, now a competitor, is still bankrolling Mozilla. Can Mozilla realistically diversify its revenue base away from Google? (and often wins) against the software giant’s Internet Explorer. This is a classic problem in any market segment where a single company holds monopoly-like marketshare. We saw it in the desktop era with Microsoft. In that case, our savior was Open Source. It is unfortunate that we don’t have an open federated search engine with a reasonable marketshare here, to step in much like open source in the desktop era. (A note to my fellow Clouderati: This is one of the reason why we need open federated clouds). When a single company gains monopoly like marketshare, the other smaller players in the ecosystem are completely dependent on the whims and fancies of the powerful company. Mozilla is in such a position now. They are entirely dependent on a search provider with a huge marketshare. On top of it, the provider is rollowing out a browser and an operating system based on that browser. There is no way Google is going to worry about Mozilla after Chrome gains a decent marketshare. 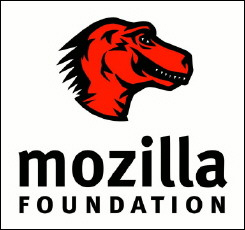 However, using the term that is popular in politics today, Mozilla is too big to fail. No, I am not worried that Microsoft Internet Explorer will gain back what it lost. The browser market is fragmented right now for Microsoft to get back the lost share. I am worried because Mozilla Firefox is the only vendor neutral browser in the market, in spite of their close connections with Google. With SaaS becoming an integral part of both consumers and enterprises, the need for a vendor neutral browser becomes very important. SaaS vendors cannot rely on browsers coming out of Microsoft, Google, etc.. because of the conflict of interests these companies have in the SaaS space. So, it is imperative for the SaaS vendors to ensure that Mozilla stays stable even without Google’s support. From their point of view, Mozilla is too big to fail. How can they ensure the longevity of Mozilla? I haven’t thought about it much on this to offer my suggestions but I am pretty convinced that they are obligated (sorry, non US friends for the term) to keep Mozilla stable and succeed.